Consider ways in which each of us might contribute to the welfare of our region from a faith perspective. Following the unrest in Baltimore and in Ferguson six-months before that, Rabbi Jeffrey Arnowitz of Congregation Beth-El became keenly aware that he understood little about the similar forces at work in Hampton Roads or what he would do if, God forbid, similar unrest erupted here. In an effort to learn more, he started seeking out colleagues to discuss issues related to race and faith in our area. Soon, Rev. David McBride of New Life Church Ghent introduced him to Dr. Antipas Harris. 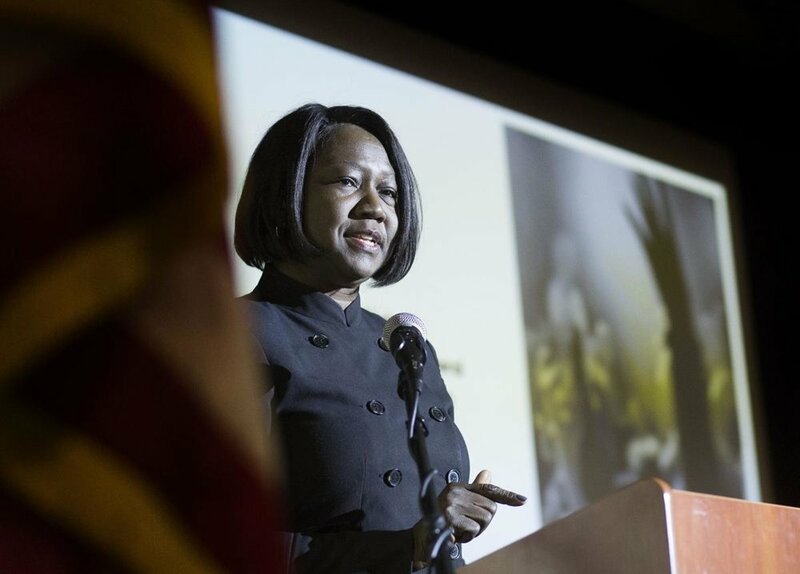 They convened several inter-faith leaders from the region to dialogue about faith and race. 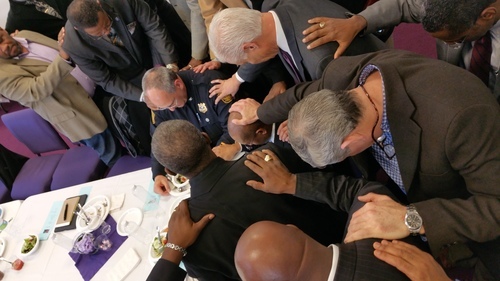 The first meeting was held in May of 2015 with 20 faith leaders from around South Hampton Roads and the Peninsula. It was a diverse group in every way – gender, religion, political leanings, culture and race – but united in the will to have honest and open dialogue about difficult issues facing our region. From its inception, HUBB has grown to nearly 80 religious leaders. The group meets every four to six weeks. The meetings feature presentations from members of the law enforcement community, the United States Senator's office, and more. Faith leaders share a range of perspectives on social justice from their religious traditions. Getting to know neighbors is key to shared living space. HUBB, moreover, facilitates community engagement projects to mobilize faith communities in building bridges amidst our religious and ideological difference. As population growth continues, it is easy to surround one's self with others based on "like." Yet, research shows that strong communities are formed amidst diversity. In January 2015, Rev. Jim Wood of First Presbyterian Church of Norfolk and Dr. Antipas Harris convened several black and white senior pastors of Norfolk and the Norfolk City Manager to discuss ways that the faith community might serve the city. Norfolk's city manager and his/her assigns agreed to meet with the pastors once a month to listen to their concerns and ideas. Pastors have a significant role both in their congregations and as leaders beyond the walls of the churches. NSPR is committed to work toward racial harmony and social justice in the community. Ongoing prayer for our city, its residents and its leaders. NSPR meets every other month. 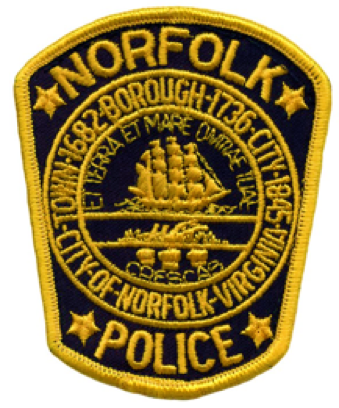 The city manager often invites representatives from Norfolk Police Department, Neighborhood Initiatives, Norfolk's Resilience Commission, Bank On Norfolk, and others. The goal is to participate in the larger vision of the city to serve the citizens and build stronger neighborhoods. Interested In Becoming A Sponsor? Let us know here!